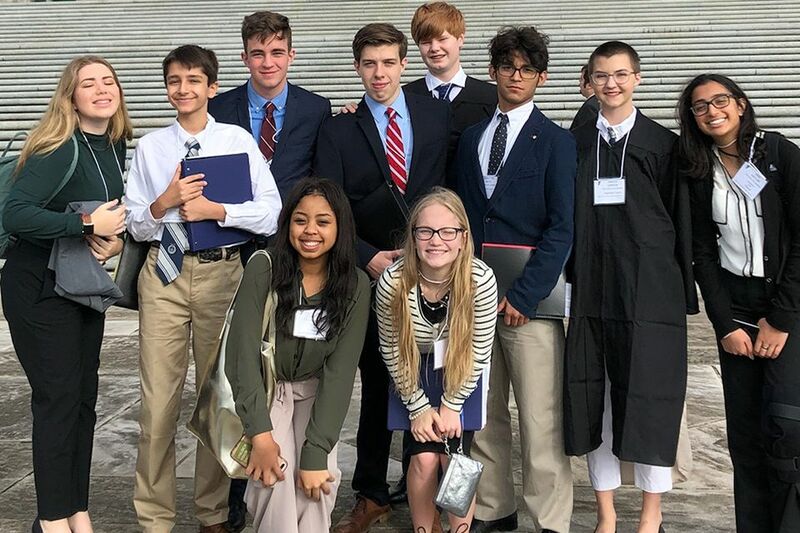 ESA's Upper School Youth Legislature team visited the Capitol last weekend to participate in the YMCA Youth Legislature Conference. On Friday, Bridger McCasland and Amelia Leroux became Supreme Court Justices. Grant Suire had his bill moved out of committee and presented on the Senate floor, then addressed his colleagues in opposition to a bill. Corbitt Driskell was in session as a Senator. Anil Cacodcar was selected as a lobbyist, and challenged a bill that has been passed before the state Supreme Court. Great work by this ten-person team!